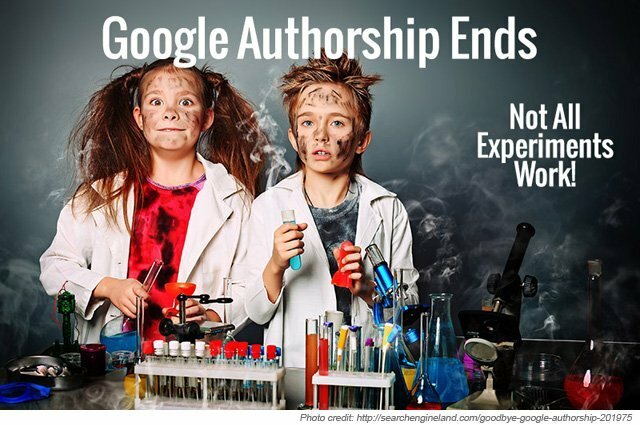 As of the last week of August 2014, Google is no longer supporting Google Authorship, a free tool that allowed web content to be linked to a Google+ profile. Authorship was achieved by using "rel=author" markup in HTML code (and of course having a Google+ profile set up for the author). Once implemented, the author's name would show as a link in search results and on the article itself, both linked to the author's Google+ page. The idea behind Authorship was that web content would be more trustworthy/credible with an actual "author" standing behind it and websites could garner organic page rank because of this credibility. It was also a way Google could proliferate its social platform, Google+. Google Authorship should not be confused with Google Publisher which is still supported and functions similarly: The difference is Publisher links entire websites to a company's Google+ profile, verifying brand identity rather than individual authorship. If you have questions about how this change affects your digital strategy, Contact Us.